Have a bunch of old 3.5″ floppy disks lying around? 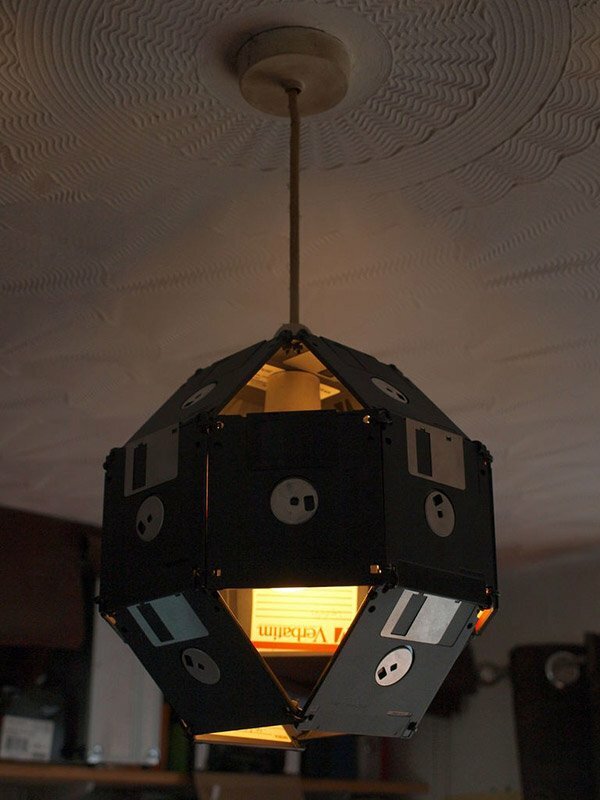 If you still have some left over after converting them into paintings or handbags, you might want to redecorate your room with a floppy disk lampshade. That’s exactly what Instructables contributor Technohippy did with his spare floppies. All it took to make this floppy disk lampshade was 17 floppy disks, 44 cable ties, and some basic hand tools. While this particular design was for a ceiling fixture, there’s no reason you couldn’t apply the same concept to a table or floor lamp too. Keep in mind that you’ll want to go with a fluorescent or LED lamp inside the fixture so as not to melt your floppies, and fill your home with the noxious fumes of burning plastic. Pop on over to Instructables for the full build instructions. 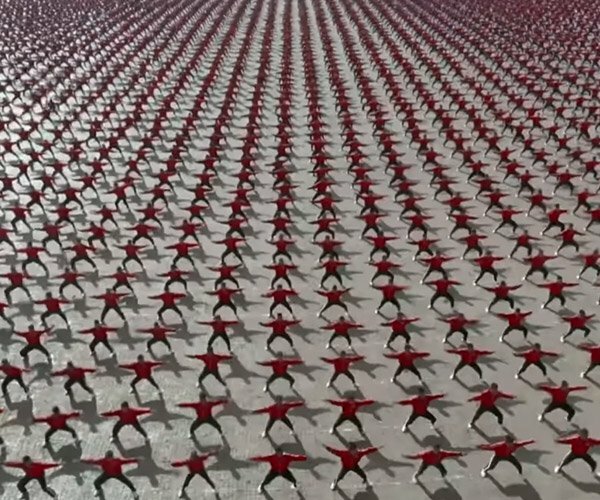 I wonder what we’ll make out of USB flash drives when they’re eventually obsolete and replaced with holographic memory or something altogether different.